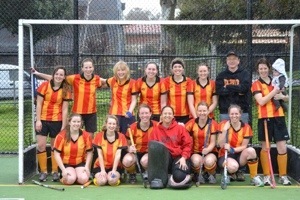 To cap off a remarkable season both the Women’s and Men’s Firsts have made it through to their respective Grand Final’s this Saturday. The State League Men won through to the Grand Final after beating Maccabi a fortnight ago and the Women joined them by overcoming Waverley 4-2 on the weekend. Put on your red and gold and come down and support the Club towards Premiership glory! If for some crazy reason you can’t make it down then follow the updates on Facebook from Echo da Clown.